Build your artistic process with a contemporary community. Participate in workshops and live events. For information and to apply, send us an e-mail. Download a printable copy (pdf) of the information from this page. Mondays and Wednesdays, 5:40–9:40 p.m.
An interdisciplinary course combining art, performance, and media practices with a focus on production, theories of and approaches to collaboration, and investigations of interactive media programming. Tuesdays and Thursdays, 5:40–9:40 p.m.
An introduction to contemporary interactive and multimedia performance, a primer course for adding interactivity to performance with an emphasis on Max, a visual programming language that can be used to create complex interactive programs without a previous working knowledge of writing code. A weekly seminar and studio-based course exploring relationships between architectural space, social space, personal space, and sound, culminating in a collaborative sound installation in a site-specific location. Careful installation at Brooklyn College. PIMA program M.F.A. candidates collaborating with M.F.A. candidates in the Fine Arts Department. Justine Williams, Angela Kim, Mike Uttaro, Abigail Sarah Miller. We invite emerging and established artists, technologists, social art practitioners, arts educators, advanced undergraduates, nondegree seeking/visiting students, and committed enthusiasts for an in-depth and intensive exploration into the theory and practice of interdisciplinary art, performance, new technology, social art practice, and collaboration. Summer offerings can be taken as an entire program and count toward the completion of an advanced certificate in performance and interactive media arts granted by Brooklyn College, or à la carte. Students may also choose from summer electives in art, theater, music, dance, and television and radio at Brooklyn College and the CUNY Graduate Center at 25 Broadway, New York. Summer-course students are invited to attend free or low-cost workshops, events, and performances offered by PIMA alumni and faculty, resident artists, and invited practitioners from the field. Ryan Holsopple designs sound and video for performance with an emphasis on live interaction and real-time processing. Recent projects include: Interaction Design for 31 Down's dataPurge, PS122 COIL, 2015; Interaction Design for Mallory Catlett's This Was The End, The Chocolate Factory (2014 Bessie Award for Visual Design); Associate Video Design for Annie Dorsen's A Piece of Work, BAM Next Wave 2013, On The Boards, Seattle 2013; Interaction Design for Mantra Percussion's performance of Timber, by Michael Gordon, BAM 2012; Programming laser pointer audience interaction for Bill Morrison's Shooting Gallery, premier at BAM's Next Wave 2012. Nominated for the 2011 Hewes Design Award for sound design of 31 Down's Here at Home. 31 Down was awarded a Best of New York 2007 by the Village Voice for Canal Street Station, his interactive telephone murder mystery set in the New York subway system. Holsopple has taught radio communication at the College of Staten Island and is a graduate of NYU's Interactive Telecommunications Program. Carmen Montoya has lived and worked throughout Latin America where she served as the sole interpreter for an assembly of rural villages in San Salvador, an advocate for battered women in Ciudad Juarez, Mexico, and an English teacher for a craft cooperative in Quetzaltenango, Guatemala. Her work has been shown at SIGGRAPH, PERFORMA, New Museum Festival of Ideas, ZKM | Museum of Contemporary Art, Venice Biennial of Architecture and Visiones Sonoras, in Morelia, Mexico, where she co-founded an artist residency for multimedia performance art. As a core member of Ghana ThinkTank she was awarded a Creative Capital grant in Emerging Fields. The project attempts to spark problem-solving collaborations between immigrants and anti-immigrant factions on the U.S.-Mexico border and is ongoing. She holds an M.F.A. in digital + media from Rhode Island School of Design. 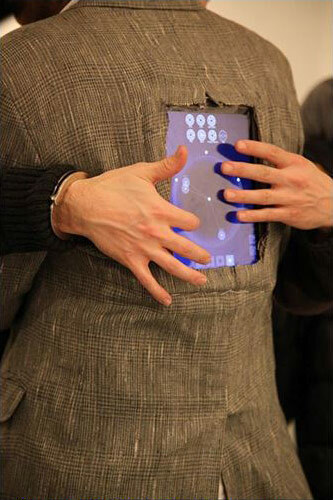 Jason Schuler is an interdisciplinary artist who creates performance at the borders of technology and the subconscious. He is also the artistic director of the award-winning Operating Theater Company. His recent work includes: The Oracle, an interactive museum exhibit about spiritualism and the Industrial Revolution (creator and director); The Untitled Consciousness Project, an exploratorium for altered states of consciousness (collaborating lead artist); and Metaverses, an augmented reality tour devised with older artists from the Westbeth residency for the Metropolitan Museum of Art (collaborating lead artist). His work has received grants from The Puffin Foundation, A.R.T./New York, The Field and LMCC among others. He holds an M.F.A. in performance and interactive media arts from Brooklyn College and a B.F.A. from NYU in film production and drama (experimental theater wing). Justine Williams is an interdisciplinary artist engaging diverse mediums and contexts. Projects include: The David Lunch Movie Truck, a movie theater/performance space housed in a moving truck (Night Market, NYC); Metaverses, an augmented reality tour created with older artists from the Westbeth residency for the Metropolitan Museum of Art; and most recently, There's Nothing to See Here, a public visioning and building project/performance that explores relationships between materials, people, and space. 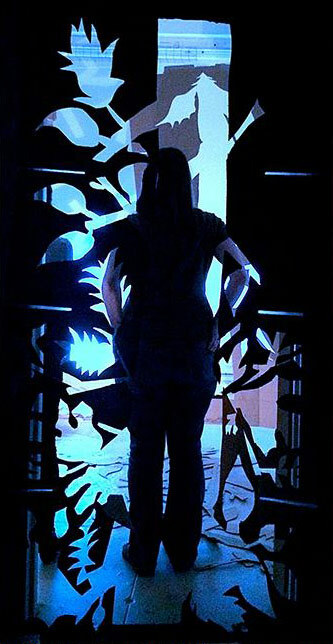 Her work and teaching draws from a background in play, games, clown, and related forms. She studied at École Philippe Gaulier in Paris and has worked alongside her mentor, Christopher Bayes (head of Physical Acting at Yale School of Drama), for more than 15 years. She holds an M.A. in international affairs/media and culture and an M.F.A. in performance and interactive media arts. She has taught for the Brown University/Trinity Consortium, NYU, CalArts, and the Movement Theater Studio in New York, and is currently a faculty member at the Yale School of Drama. This summer, PIMA welcomes WILDCAT! to our collaborative artist residency program. WILDCAT! 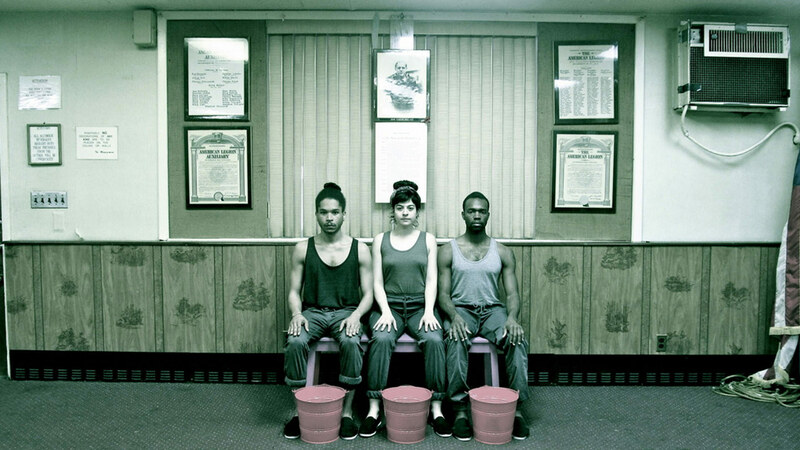 is the collective project of interdisciplinary artists Jeremy Toussaint-Baptiste, Eleni Zaharopoulos, and André M. Zachery. They examine precarity as a constant condition for the majority of people in society. Framed as a civic-minded organization, WILDCAT! was formed in 2013 out of a mutual interest in exploring how people organize and support each other in an unstable and imbalanced world. As artists, the group is interested in exploring the creative and unique ways people collectively work to survive and operate in their financial uncertainty while being conscious of how race, gender, class, economic conditions, and geographic location factor into this dynamic. 2015 PIMA Summer Artists in Residence: WILDCAT!